Airboats are popular in Florida among eco-tourists, hunters and fishermen. As flat-bottomed vessels pushed forward by an aircraft-type propeller, airboats are ideal for movement through shallow, marshy areas where other types of engines and submerged propellers would make navigation difficult or impossible. They are especially popular for visitors to the Florida Everglades, though a number of commercial boating companies offer tours in muddy, swampy waters in and around the Fort Myers region. Some of these are relatively small, allowing for two to three passengers, while others offer space for up to 18 passengers. While such rides can be exhilarating, they can also be extremely dangerous. 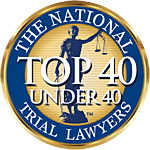 Associates and Bruce L. Scheiner, Attorneys for the Injured, recognizes the industry is not as regulated as one might hope. Injuries have become increasingly common as companies scramble to meet the demand without properly ensuring every vessel is in good working order and operators are properly trained and using due caution. The U.S. Coast Guard reports roughly three dozen injuries every year involving airboat passengers, with most of those concentrated in Florida and Louisiana. Deaths are uncommon, but not unheard of, primarily because of the shallower waters in which the boats operate. There were three reported in 2012. A 31-year-old Homosassa woman seriously injured in an airboat accident on the Withlacoochee River in May 2012. She, a male companion and three children were parked on the riverbed. Her companion, thinking the victim was climbing aboard, cranked the motor. However, she was in fact standing at the rear of the boat and was hit by the three-blade propeller, causing her to suffer injuries classified as life-threatening. A 61-year-old Brevard County man was killed in December 2013 while airboating on the St. John’s River when his boat crashed into a concrete pylon. The retired NASA employee had launched his boat with a group of more than 30 other members of a local airboat association, but they lost sight of him shortly before the crash. A 7-year-old Georgia boy was killed in June 2006 in the St. Johns River after the airboat on which he was riding snagged on the bottom, pitching him forward and over the left side of the boat, which then struck the child. He later died of his injuries at an Orlando hospital. There have been numerous other instances wherein tree branches get caught in the propeller, causing debris to be flung at passengers, which can not only damage the vessel but cause injury to boat occupants. In some cases, injuries associated with wild animal contact may not be included in formal airboat accident statistics, but could nonetheless be attributed to operator negligence. For example, in June 2012, an Everglades airboat captain lost his hand after it was bitten off by an alligator as the man was trying to feed it. While he couldn’t sue himself for his own injury, an FWC spokesperson pointed out that the captain put his six passengers’ lives – two of them young children – at risk with the action he took. It’s important to note Florida does not require airboats or their captains to carry insurance or undergo background checks. F.S. 327.391 covers airboat regulations, and the requirements are relatively minimal. It covers the type of exhaust systems the boats must have to adequately muffle the sound of the boat. The law also mandates airboat operators in state waters must ensure the vessel is equipped with a mast or flagpole bearing a flag at least 10 feet high. They do have to meet Class A and Class 1 safety requirements for recreational vehicles. Never get near the propeller. Operators should always be aware of anyone or anything that can come in contact with propeller (including gloves, animals, tools, engine parts, jackets, limbs, etc.). Operators should ensure all appropriate safety equipment is on board, including approved floatation devices, eye and ear protection, first-aid kits, fire extinguishers, drinking water and a cell phone in a water proof case. Operators should recognize weather conditions in Florida can change rapidly. Airboat passengers are at high risk of lightning strikes, wind and fog-related accidents. Operators should use appropriate precautionary measures to avoid these storms. Everyone on board should have adequate drinking water in order to avoid heat stress.